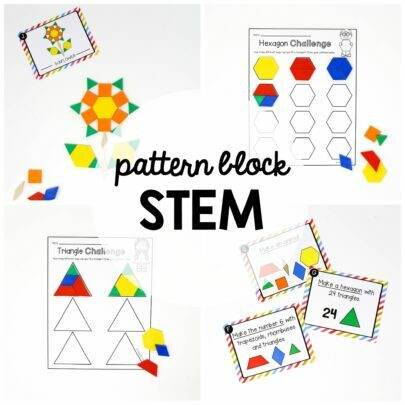 Looking for an engaging batch of STEM challenges to add to your centers or STEM boxes?! 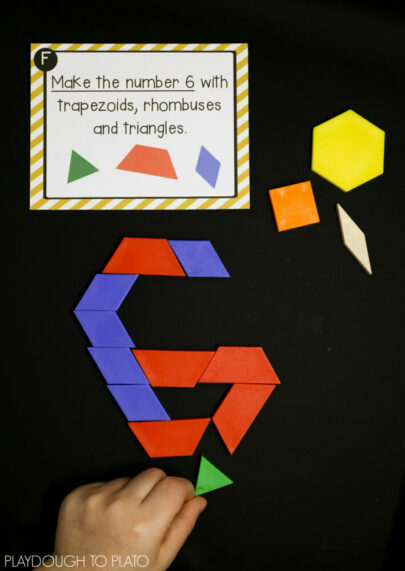 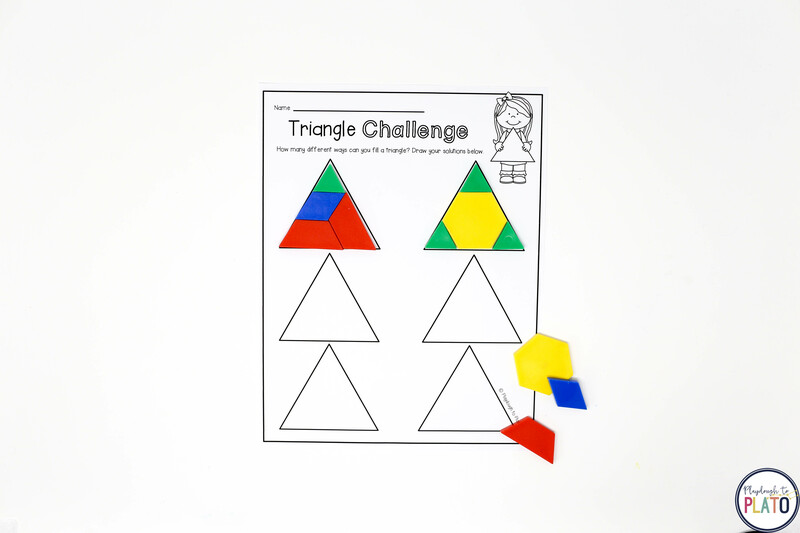 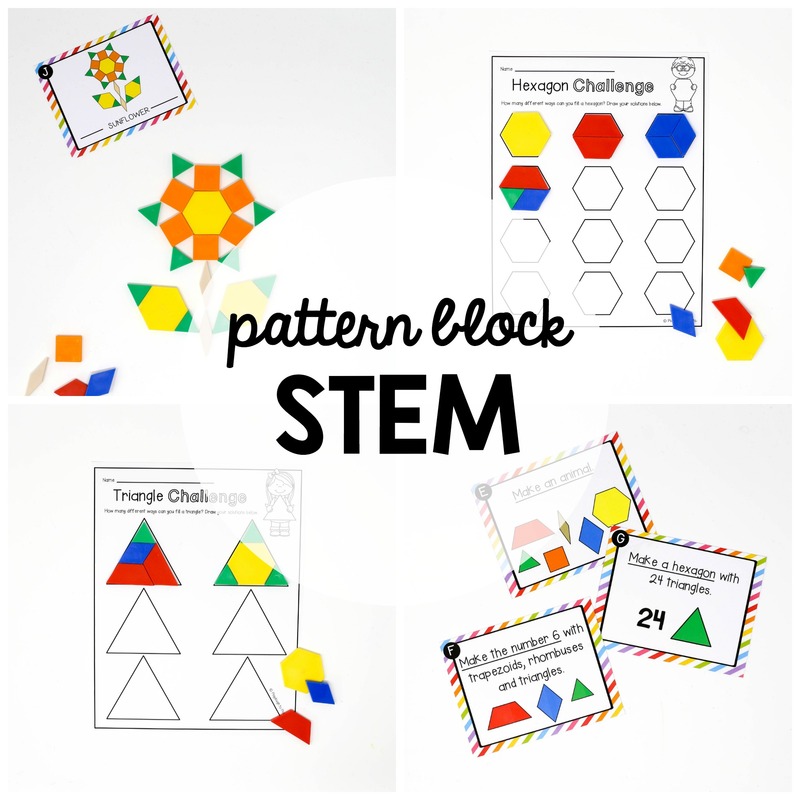 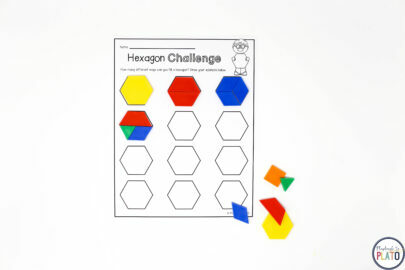 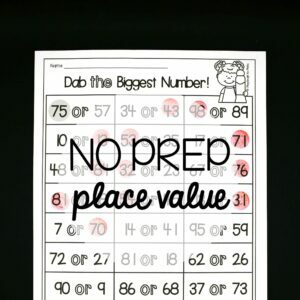 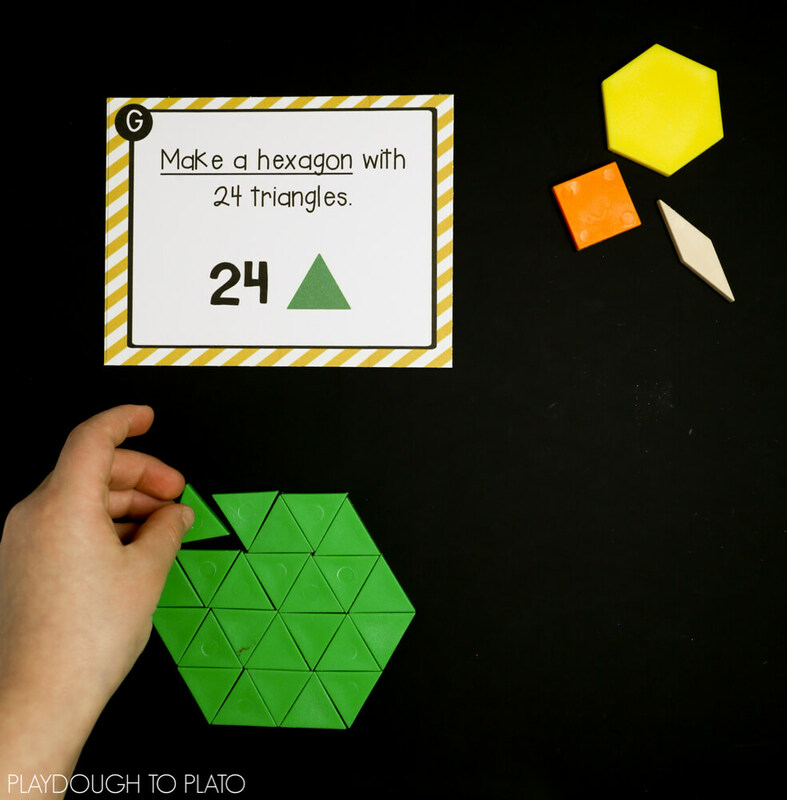 These pattern block STEM challenges are an easy way to work on problem solving, geometry, math vocabulary… even beginning fractions! Just print the cards on cardstock, cut them apart, and grab a batch of pattern blocks. 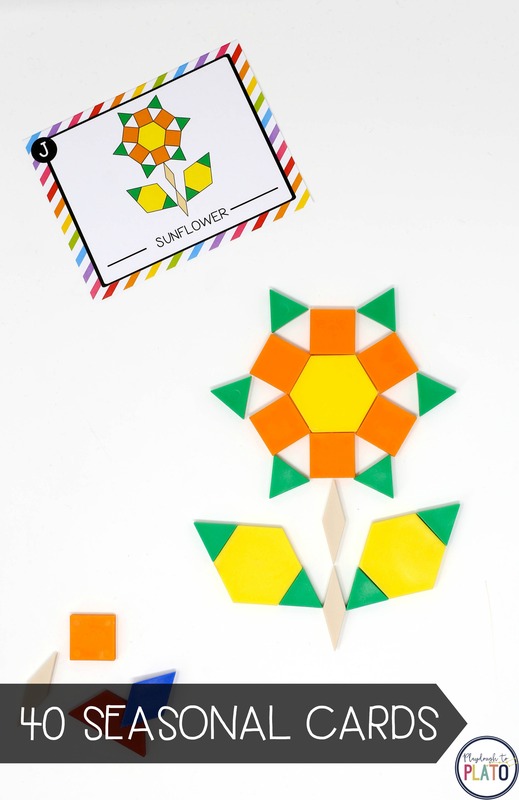 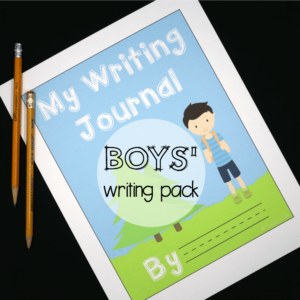 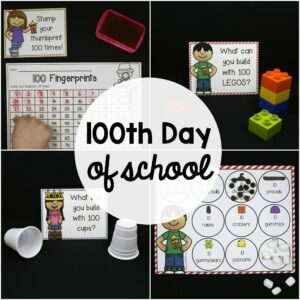 Kids will love building all 55 designs!